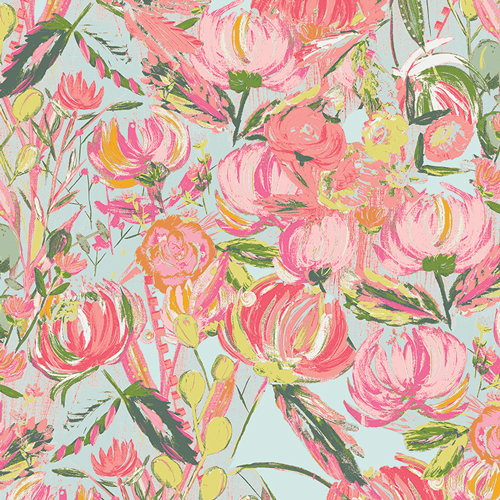 Spring blooms will surround your sewing room all year long with Printemps Fusions. Feminine pinks and corals contrasted by a medley of fresh greens express the beauty of a romantic floral filled day. 100% Premium Cotton 44-45"